Oh my, I was SO excited to meet little Francesco at the beginning of the new year! I got to take Caitlin and Tony's maternity photos back in September and we had such a wonderful time, chasing the sun and skipping on rocks in the creek that night, just capturing that sweet baby bump. Now he is here and adorable, of course! 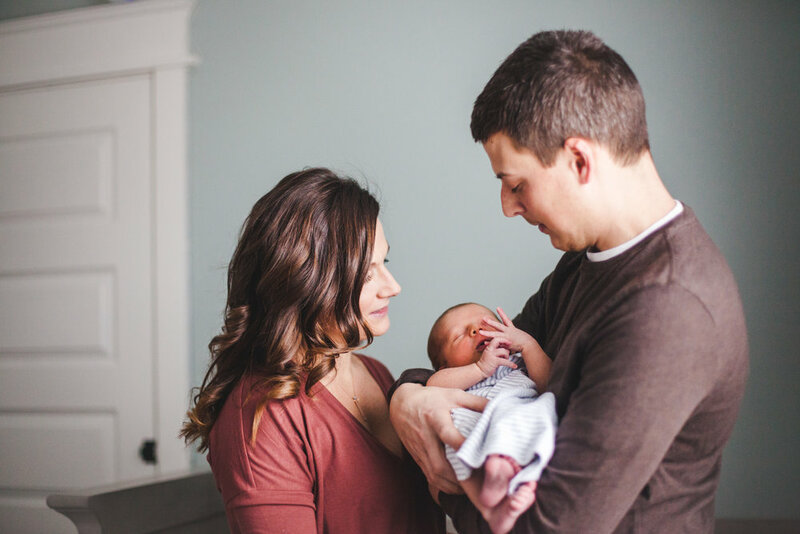 The Serrao family has chosen my new Baby Journey package which is a series of 5 photo sessions to capture so many of the wonderful changes that take place over the course of little Francesco's 1st year. This couple is so easy going and were so sweet just loving on their new little addition. If you'd like more information on my baby photography packages, please contact me HERE.